Lord Ganesha is an elephant headed god worshipped widely in India, Sri Lanka, Nepal, Malaysia, Indonesia and Thailand. He can be easily distinguished by his human body and elephant head. Lord Ganesha is known as remover of obstacles. In management, we believe the obstacles can be removed and problems can be solved by Effective Communication. 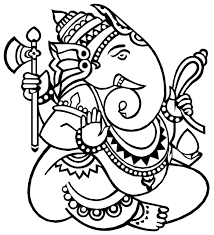 Lord Ganesha stands as a philosophy or a symbol of Problem Solving and Removing Obstacles. That is why Lord Ganesha is worshipped by Hindus whenever they start a new venture. The success is an outcome of positive efforts and hard work. The success is assured by removing obstacles and solving problems. The easy and effective way to remove obstacles and solve problems is just follow the principles of Lord Ganesha. Principle 1: Have Large Ears – Listen more. Principle 4: Have a closed mouth – Open your mouth only when it is required. If anyone follows these four principles of Lord Ganesha, his/her success is assured. We can solve any problem appropriately and remove obstacles. Thanks Laurie for your kind words.